The African painted wolf is one of the continent's top style icons. Each animal is painted with its own unique and distinctive print. Painted wolves in north-east and east Africa have darker patterns, while in southern Africa the coats are more lightly coloured. What’s in a name? The Latin name for the painted wolf is Lycaon pictus, which literally translates as ‘painted wolf-like creature’. 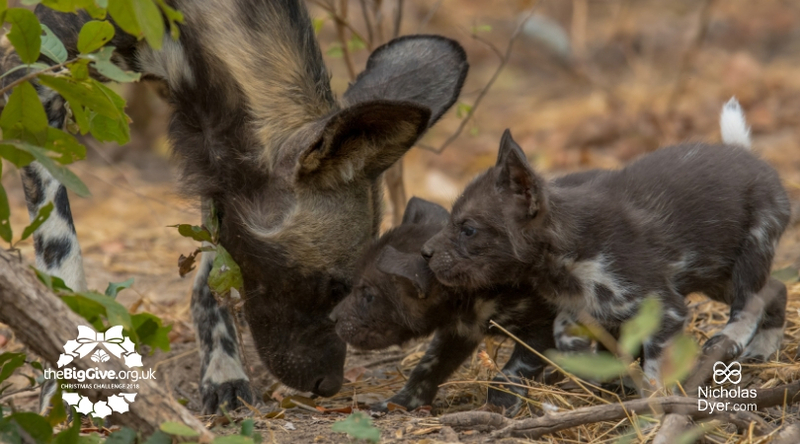 However, the species is known by a multitude of names, including‘wild dog’, ‘painted dog’ and ‘African hunting dog’, and those are just the English ones! Whatever name you choose to use, this is a species deserving of our respect and attention. Family is everything. The pack dynamics of the painted wolf are something we could all learn from. They are amazing at taking care of their pups, with a huge emphasis on play. When the pups are this cute, it’s no surprise they are the main focus of the pack’s attention. They are truly caring creatures, looking after sick, injured or elderly pack members in a way that is unique in the wild. 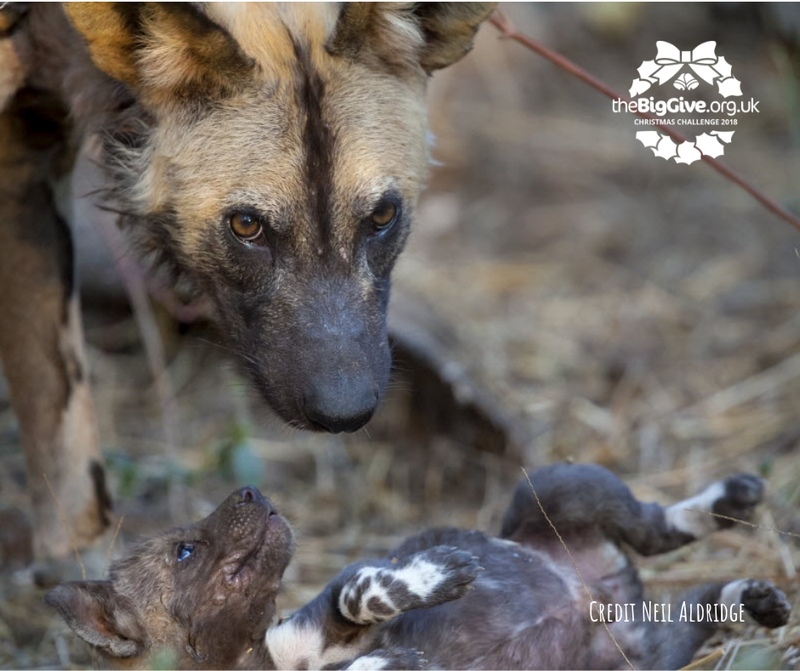 From licking an injured pack member's wounds to keep them clean, to regurgitating food for those that cannot hunt for themselves, family comes first for these highly social animals. Girls Rule! Each pack is led by an alpha male and alpha female, but it’s the female who really rules the pack. The alpha female will be the only member of the pack to breed, and she’ll also be the one to decide when and where the pack hunt, where they den and how to resolve other day to day issues regarding pack life. Communication: painted wolves have a complex communication system involving different types of calls, (from barks to twittering to hoo-calls) body language and even dancing. It’s this ability to communicate which is one of the key factors in their success as hunters and in maintaining their pack dynamics. As well as their distinctly patterned fur, the painted wolf’s other stand out feature is its large, rounded “Mickey Mouse” ears. Their acute sense of hearing allows them to pick up long-distance calls from fellow pack members and to hear approaching danger. Their large ears may also help regulate their body temperature, keeping them cool in the heat of the day. Painted wolves are one of the world’s most successful hunters. They are fast with lots of stamina, reaching speeds of around 60km/h which they can sustain for several kilometres. They are also humane. Although they are highly successful hunters, their killing technique minimizes suffering, and prey does not linger alive after being caught. The African painted wolf is in real danger of extinction. Thanks to ongoing conflict with humans, infectious disease and the destruction of habitat, the painted wolf has already disappeared from much of its original territory. Today small numbers can still be found in Zimbabwe, Tanzania, Botswana and South Africa, but the clock is ticking. 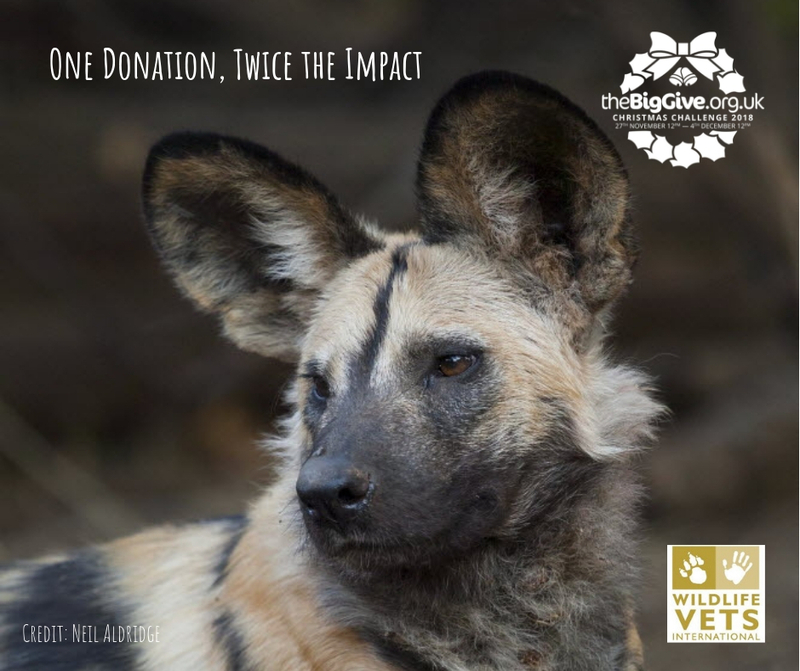 Please donate during our Big Give Christmas Challenge to help save the painted wolf. 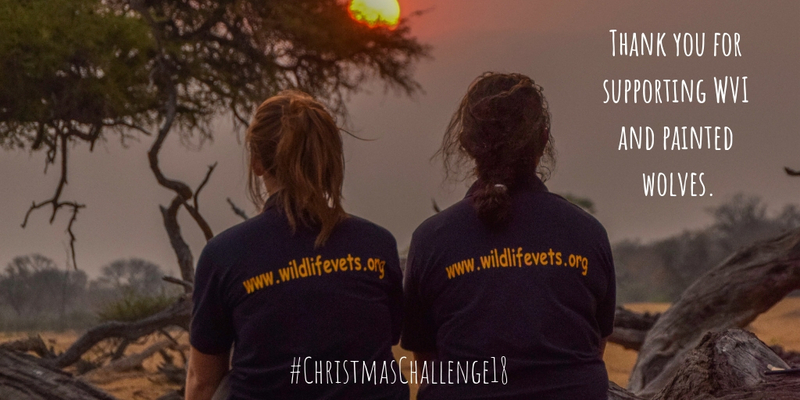 Every pound you donate will be DOUBLED during this period and will help fund vital vaccination programmes and provide veterinary expertise to teams working in Zimbabwe to save this amazing species from extinction.